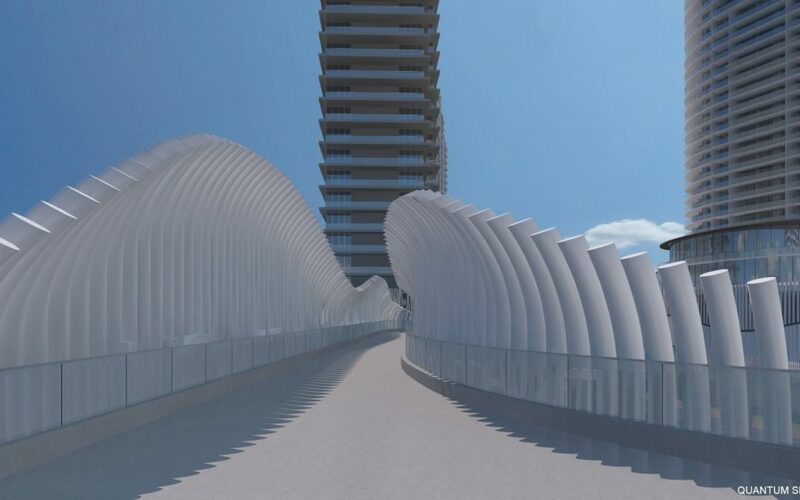 Miami Beach is set to consider a proposal from Arquitectonica for a pedestrian bridge above the main entrance to South Beach from the MacArthur Causeway. 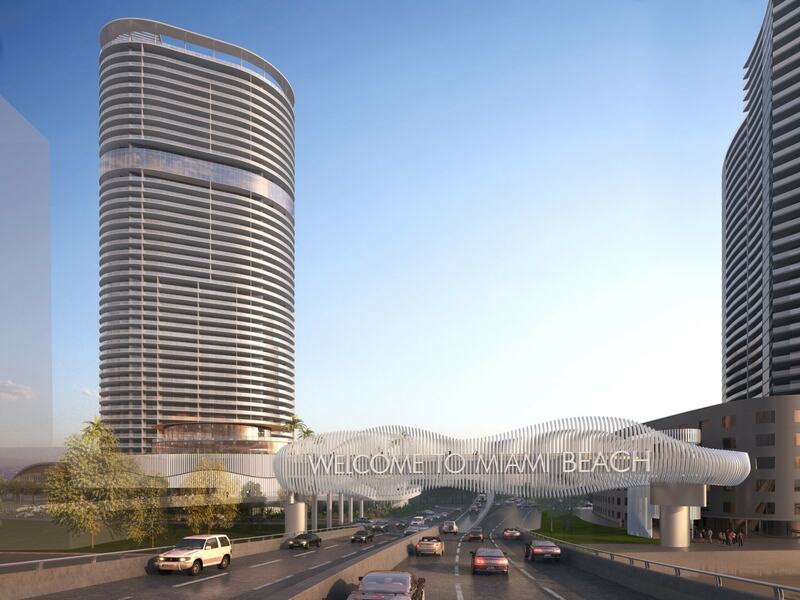 When completed, the bridge will allow pedestrians to continue from the South of Fifth baywalk to a new park proposed at 5th and Alton, as part of a development that includes a 510-foot tower. On the south side, two options are proposed to connect the baywalk to the bridge. The first would require a long, winding walk up a ramp, while the second option is for an elevator to be built. The baywalk on the north side does not appear to be directly connected. Instead, a ramp would lead into the new park. 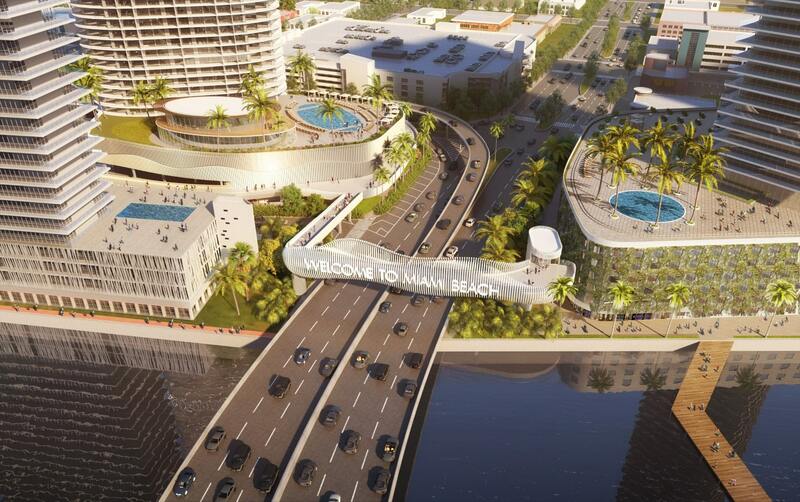 The proposal is set for review in May by the city’s Design Review Board, according to remiamibeach.